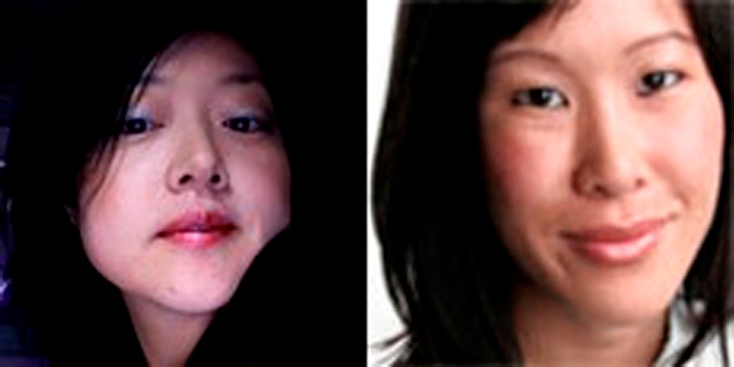 These undated photo shows American journalists Laura Ling, right, and Euna Lee. SEOUL, South Korea -- Two American journalists detained at North Korea's border with China earlier this month will be indicted and tried for illegal entry and hostile acts, Pyongyang's state-run news agency said today. The Korean Central News Agency report did not say when a trial might take place, but said moves to indict the Americans are under way as the investigation continues. "The illegal entry of U.S. reporters into the DPRK and their suspected hostile acts have been confirmed by evidence and their statements," the report said, referring to the country by its official name, the Democratic People's Republic of Korea. Euna Lee and Laura Ling, reporters for former Vice President Al Gore's San Francisco-based Current TV media venture, were detained by North Korean border guards March 17. Laura Ling is sister to Lisa Ling, former co-host of ABC's "The View" and currently a correspondent for National Geograhic's "Explorer." The KCNA report said consular officials would be allowed contact with the reporters during the investigation. The suspects will be treated "according to the relevant international laws," it said. Washington, which does not have diplomatic relations with Pyongyang, relies on the Swedish Embassy in the North Korean capital to represent the U.S.
State Department spokesman Gordon Duguid said in Washington that a Swedish diplomat met with the journalists individually over the weekend. Duguid provided no other details about the journalists or the weekend visit Monday, citing privacy concerns. In Stockholm, Foreign Ministry spokeswoman Cecilia Julin confirmed that the meetings took place but declined to provide any details. The detentions come at a time of mounting tensions in the region as North Korea prepares to launch a rocket in coming days over the objections of its neighbors. Pyongyang has declared it will send a satellite into space sometime between April 4 and 8, but the U.S. and other nations suspect the launch will be a test of the country's long-range missile technology. The U.S., South Korea and Japan have warned Pyongyang it risks sanctions by carrying out a launch prohibited under a U.N. Security Council resolution that bans the North from ballistic activity.